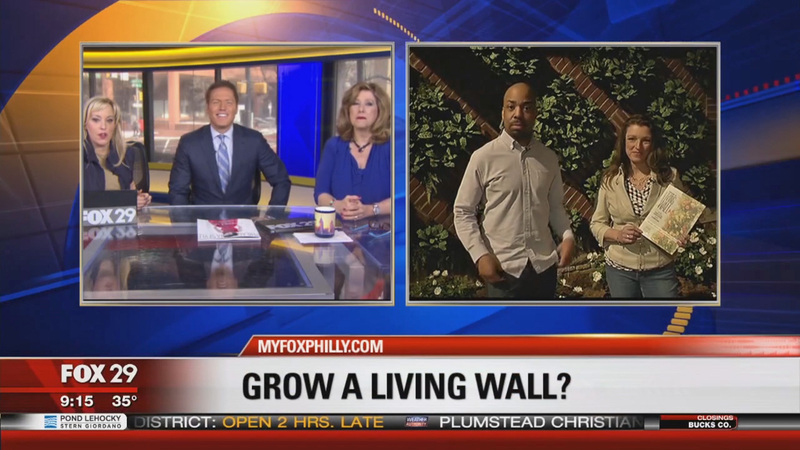 It is time to grow a living wall my friends. 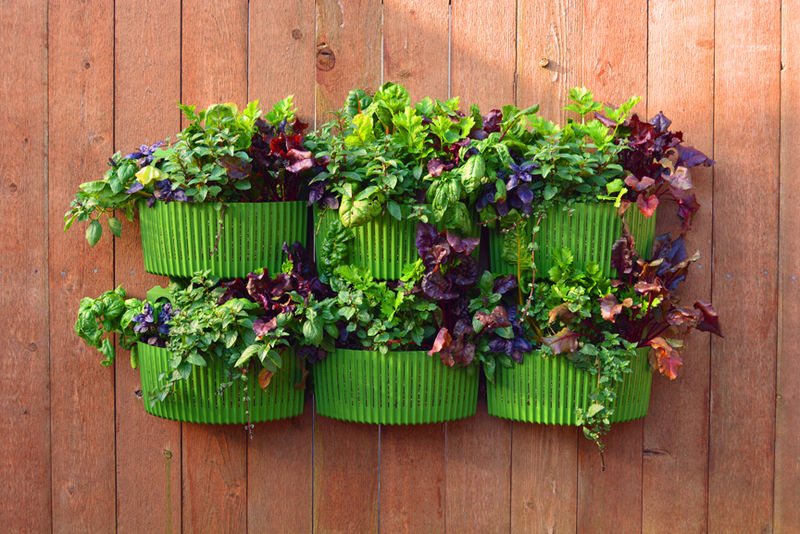 Grow a Living Wall; Create Vertical Gardens with Purpose, is my latest book. 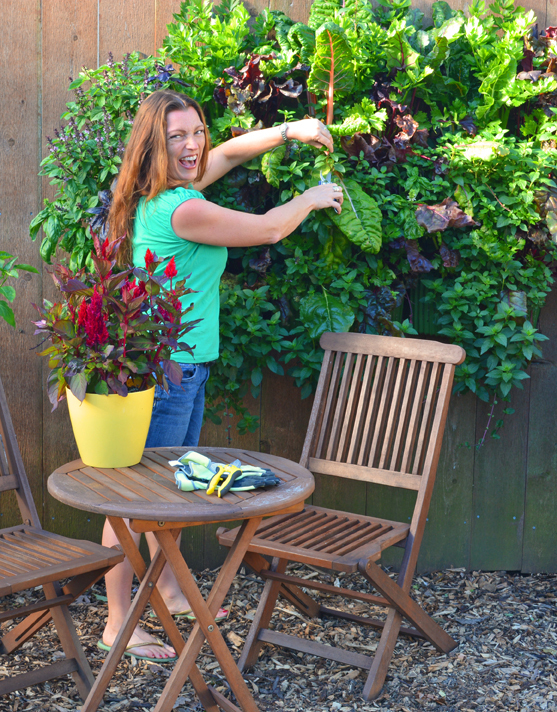 Below are a few tips excerpted from Grow a Living Wall that gives you a few ideas on how you can grow a huge garden in a narrow space WITH NO WEEDING REQUIRED! While interviewing a young mother in an urban inner-city area, I listened as she told me a heart-breaking story. Her son had asthma, and medications were not effective, so she tried limiting his chemical exposure by providing more organic food. The price of organic vegetables from the market was high, and she dreamed of having a garden where she could grow her own fresh produce. There were two places she could grow: her small balcony or a fence along a back alley that was over 20-feet long but offered only a 3-foot wide area to walk. The garden shown in the photo above only stands 18″ out from the wall, utilizing the Living Wall Planters from Woolly Pockets. Each unit only takes up one foot of space. Thirteen units could be placed side by side on the 20-foot alley wall the woman had to work with. She could easily stack five or six planters on top of each other, expanding her planting space to 65 square feet if she planted thirteen units wide, five units tall. Sixty-five square feet of food for her family, a larger garden than many traditional land gardens in backyard garden spaces. Even by utilizing only a small area of the wall and planting traditional containers beside the wall garden, a massive quantity of vegetables can be grown in a narrow area. Plants will grow in thickly with time, but start out smaller. Harvest one-third to two-thirds of the vegetables at a time, letting the plants grow back for second and third harvests throughout the season. This garden was incredibly easy to plant and grow utilizing moisture retentive soil such as Organic Mechanics Soil and a combination of herbs and vegetables. 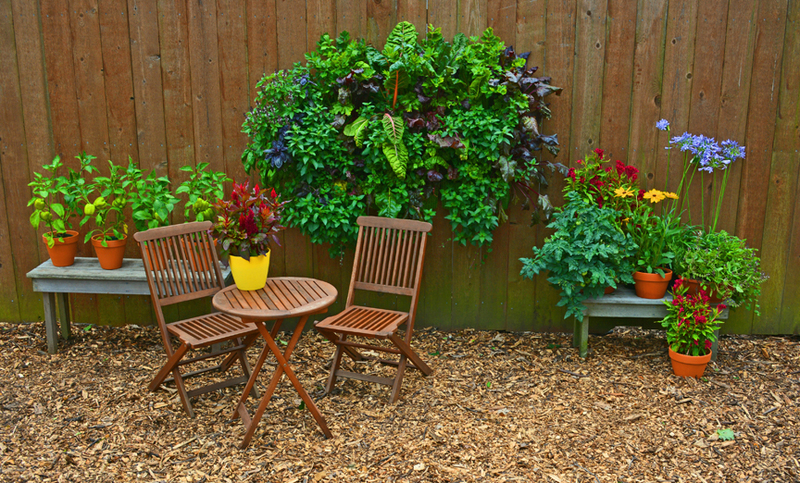 Once I hung the Living Wall Planters from Woolly Pockets planting units, then I planted 6 different herbs and vegetables in each one square foot planting area after I mixed in a little organic fertilizer. 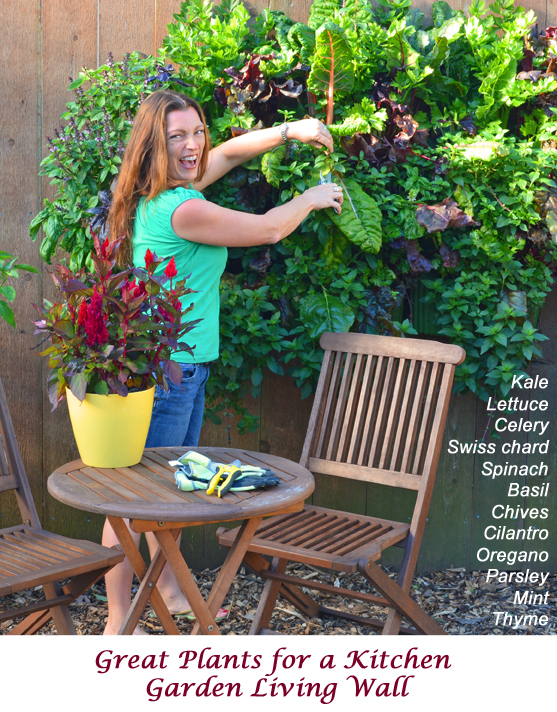 Plants I used in this living wall kitchen garden design include basil, beets, celery, mint, purple basil, and Swiss chard. 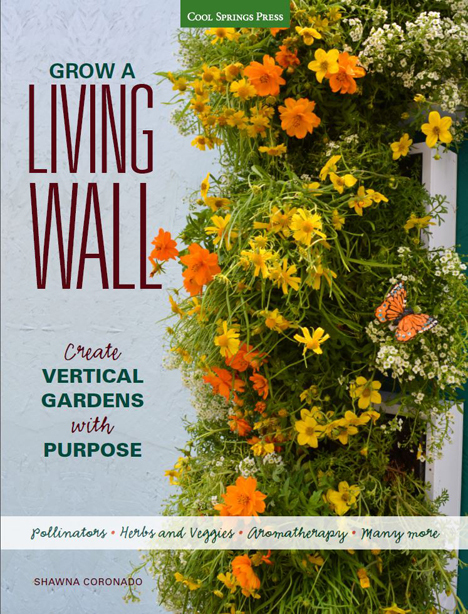 If you want to learn more about living wall planting, please check out my book, Grow a Living Wall; Create Vertical Gardens with Purpose, on Amazon. Thanks so much! I ordered your living wall book from Amazon and received a notice this week that they could not locate a copy. Is there another source? I heard your interview with Mike McGrath and think this is just the ticket for my dilemma. Live on a shady, wooded lot but have small patches of light. Thanks.